Sports Injuries on the Rise | Kid Reporters' Notebook | Scholastic Inc. 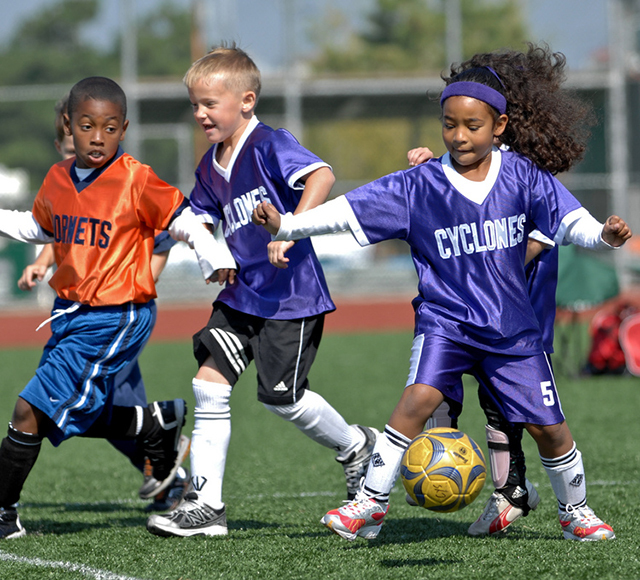 Participating in sports offers lots of benefits to kids, including learning teamwork and discipline. But, says Emily Stuart, a physician at Nationwide Children’s Hospital in Dublin, Ohio, “Every sport has some risks.” In Pop Warner football, for example, players are vulnerable to musculoskeletal injuries and concussions. “Concussions are one of the most dangerous injuries in sports,” says Chris Troyer, Head Athletic Trainer at Dublin Scioto High School. A concussion, he adds, can take weeks, sometimes months, to heal. Sports injuries are on the rise among kids, not just in football. The biggest problems come from kids playing only one sport year-round and practicing too hard. “A good rule of thumb,” says Stuart,” is to not play more hours of organized sports per week than your age.” That rule applies to both contact and non-contact sports, including dancing, gymnastics, soccer, and tennis. Nonetheless, Stuart and Troyer encourage kids to get out on the field. Sports, they say, are a great way to stay fit, be social, and have fun. With the fall sports season in full swing, it’s important to stay ahead of the game and be safe.